The Avenue des Champs-Élysées is a prestigious avenue in Paris, France. 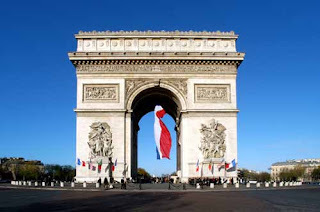 With its cinemas, cafés, luxury specialty shops, the Avenue des Champs-Élysées is one of the most famous streets in the world, and with rents as high as USD1.5 million annually per 92.9 square meters (1,100 square feet) of space, it remains the most expensive strip of real estate in Europe. Created to celebrate Napoleon I 's victories, the name is the french equivalent of "Elysian Fields" in Greek mythology, the place of the blessed dead. 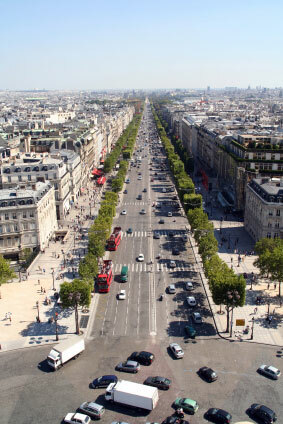 The Avenue des Champs-Élysées is known in France as La plus belle avenue du monde ("The most beautiful avenue in the world"). I remember that strip of Paris. It was so much fun. All the shops, restaurants, the wine. Nothing since has even compared. I had a Paris Pass the I got from my travel agent. Its like unlimited ticket thats you travel with in the city. It helped me see so many different sights. Dubai shopping is highly motivated by the swanky malls. One of most lavish lifestyle mall in Dubai is saga world Dubai.Dubai luxury shopping is extravagant and awesome from every prospect. Be it great and elite-class accessories, jewels, watches, souvenirs etc or luxury fashion shopping, every mall in Dubai is a world in itself.